Either as a vegetarian meal or as an accompaniment to a meat meal this courgette and mushroom recipe is an unusual and easy way to prepare your favourite vegetables. Wash the courgettes and remove the ends. Slice but not too thinly. Clean the mushrooms and remove the end of the stalks. Heat the oil in a pan and add the sliced courgettes. Stir so that they do not stick to the pan and are cooked evenly. Do not let them get too soft. Add the mushrooms and crushed garlic and stir gently for three minutes. Add half the tube of tomato paste and stir to coat the vegetables. Add more tomato paste if needed. When the vegetables are coated and the tomato sauce is hot, lower the heat under the pan and add about half the tub of parmesan cheese. This will quickly make the recipe very thick and can stick to the bottom of the pan so keep stirring! Add the cherry tomatoes and season to taste. If the mix is too thick add the water and stir well. This recipe is prepared and cooked very quickly but tastes amazing and looks colourful on the plate. You can make any amount by adding more courgettes and mushrooms or use what’s in your store cupboards. This recipe does not freeze very well but being so quick to prepare there is no reason to prepare it in advance. If your family is not keen on parmesan cheese why not try cheddar instead? If the cheese is not very strong add a pinch of dried mustard to enhance the flavour. This recipe is ideal served with leftover meat the day after a roast dinner or as an accompaniment to a pie. The colourful appearance of the dish enhances plain looking food. Try it alongside poached fish or cauliflower cheese to brighten the plate. Adding a half cup of frozen peas to the meal will also add more colour. Courgettes come in many sizes these days. Supermarkets often sell the larger odd shaped courgettes at a reduced price. As this recipe uses sliced courgettes you can purchase the cheaper version and make a cost cutting meal. 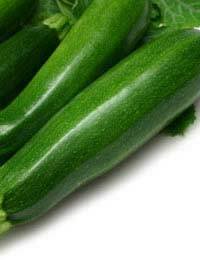 With larger courgettes halve them lengthways before slicing. To make a runnier sauce use larger tomatoes rather than cherry ones and slice them before putting in the pan. Or, you can halve the cherry tomatoes so that they cook down more. If you do not have button mushrooms you can use the normal or larger ones and slice them before putting them into the pan. However you may find that this makes the tomato sauce a darker muddier looking colour. Be careful when seasoning this recipe as the cheese will make the meal taste quite salty. Try using milled black peppercorns to enhance the flavours.